Acid reflux and oranges often appear together when people talk about the treatment for acid reflux, and while some encourage its consumption, others put it down. The medical condition in which the esophageal lining is exposed to reflux or backward flow of gastric acids is known as acid reflux. The various symptoms of acid reflux include heartburn, regurgitation, dental erosion, hoarseness, chest pain, asthma and dysphagia. When people experience the problem of acid reflux on a regular basis, the condition is called as GERD or gastro-esophageal reflux disease. The causative factors of GERD or acid reflux are multiple and include dietary intake of excessive fatty foods, chocolates and caffeine, excess alcohol, smoking, pregnancy, obesity, lifestyle patterns, genetic tendency, Candida infections and postponed stomach emptying. Orange is a citrus fruit. And by their very nature, citrus fruits tend to be acid-forming. In many patients, symptoms of acid reflux worsened on consumption of orange because of this reason. However, orange peels have been found to be useful in treatment of acid reflux. 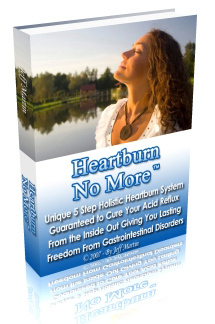 These are a safe and effective alternative to antacids that are available over the counter. The orange peels are bitter in taste and have digestive properties. The digestive bitters in the orange peels are good for the digestive system and they enhance and improve the process of digestion while maintaining the balance in the body. Excessive acid production is controlled as the digestion process is quickened. The main ingredient in the extract of orange peels is a chemical compound called d-Limonene. The chemical formula of d-Limonene is 1-Methyl-4-Isopropenyl-1-Cyclohexene and it is a liquid with lemon-like smell. This compound is FDA approved and can be used as a food additive. It is also included in the Generally Recognized as Safe List of FDA and has primary uses as a flavoring ingredient. Research and studies have been conducted by EPA and d-Limonene has been found to be quite effective in treating acid reflux and heartburn. So, it is up to you to decide from your personal experience as to whether oranges should be a part of your acid reflux diet or not. Complete avoidance of citrus fruits, especially lemons and oranges, is not encouraged, as acid reflux can trigger esophageal cancer which is significantly controlled by citrus fruits. Elimination/inclusion of oranges in your diet is only a small part of the more comprehensive solution that is entailed by a severe acid reflux condition. Acid reflux can become a serious condition in many patients and hence, necessary treatment should be administered on time. There are many treatments and medications available for treating acid reflux and these include acid suppressants, prokinetic agents, proton pump inhibitors and antacids. Majority of the medications and over the counter medicines and tablets do relieve the symptoms of GERD temporarily, but may not offer relief on long term basis and hence, the disease keeps recurring. The root cause of the problem remains untreated, which can be treated only through the holistic approach. Long term use of these medications may be accompanied with side effects and unwanted health consequences as well. The holistic approach encompasses home remedies, herbal remedies, dietary changes, lifestyle alterations and body detoxification processes, and it has been found to be more safe and effective than conventional treatment. The disease of acid reflux can be treated successfully with holistic treatment and its recurrence can be prevented to a large extent, as the root cause of GERD is removed.